#1 CHEVROLET DEALER IN OHIO! #1 VAN DEALER IN THE NATION! Top Dollar for All Trades, All Cars, All Trucks, All SUV' s- Any Make or Model. 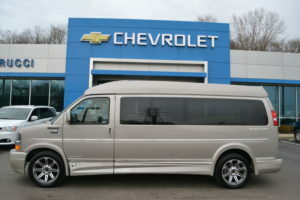 We especially need Used Custom Luxury Conversion Vans, Used Explorer Vans, All Used Vans Conversion or Passenger. 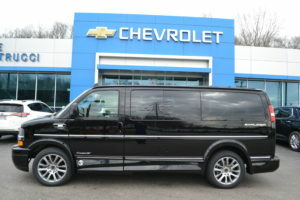 Call Sean the "VAN MAN" at 513-519-2666 to talk about your trade. 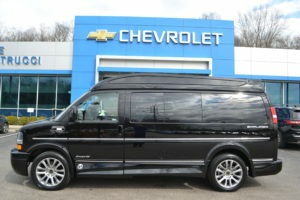 Hi-Top conversion vans (also known as raised roof custom luxury conversion vans) offer a great look, extra headroom & 29" HD TV's. 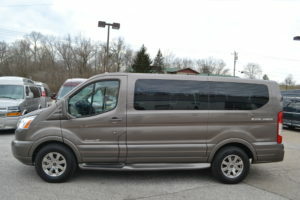 Check out our inventory of Hi-Tops! 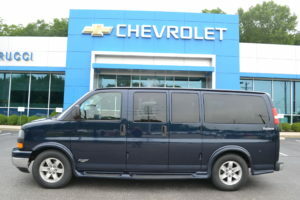 Conversion Van Sales Open Every Day! 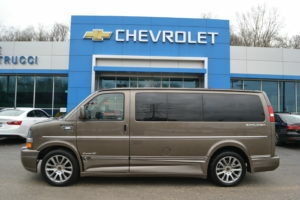 Give Sean the "VAN MAN" a call at 513-519-2666 to discuss your conversion van needs. 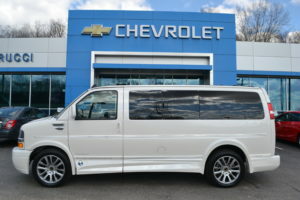 Check out our inventory of low-top custom luxury conversion vans. 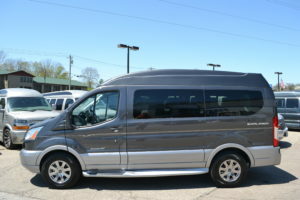 Great for families on the go, with 6'8" clearance, leather or cloth interior, super-loaded or value-equipped. Explorer “Americas Van” Rental conversion vans that lack nothing. 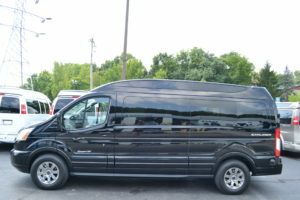 Rent a luxury, custom conversion van for your event or vacation. Perfect for those who need to move people, cargo or both. Vacation friendly!!! Family friendly!!! Great for a guys golf trip or a girls night out. Why fly when you can drive this? 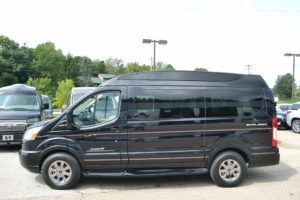 We are proud to offer the best Conversion van deals and trades on custom luxury vans. 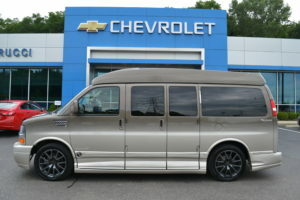 Buy your used conversion van from the nations most trusted luxury custom van dealer. Our New Explorer Van Customers and Used Conversion Van Customers will be happy to tell you how easy we are to deal with. 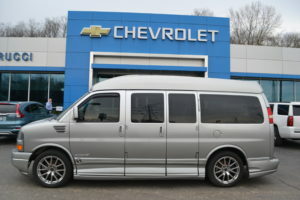 Low Price Explorer Vans. Conversion Van Land will assist with delivery of your new Explorer Van or used custom luxury conversion van and pick-up of your trade-in.